Early Pioneers who saw Mt. Hood for the first time marveled at its captivating beauty and were drawn to the perpetually snow-covered mountaintop. Mt. Hood is perhaps the most popular mountain in the Western Hemisphere; it is the second most climbed mountain in the world after Japan’s holy peak, Mt. Fujiama. Legend has it that if the mountaintop is covered with a cloud or hood it will rain. If there is a ring of clouds around the collar, it will be fair weather. Mount Hood, which was named for the famed British Naval Officer, Admiral Arthur Hood, is the fourth highest mountain in the Western United States. British Navy Lt. William E. Broughton and his crew were sailing up the Columbia River and they first saw the mountain on October 29, 1792 when they approached the confluence of the Columbia and Willamette Rivers. The first nonnative Americans to see Mt. Hood were Meriwether Lewis & William Clark who were floating west down the Columbia River on October 18, 1805 when they approached the present-day site of The Dalles. 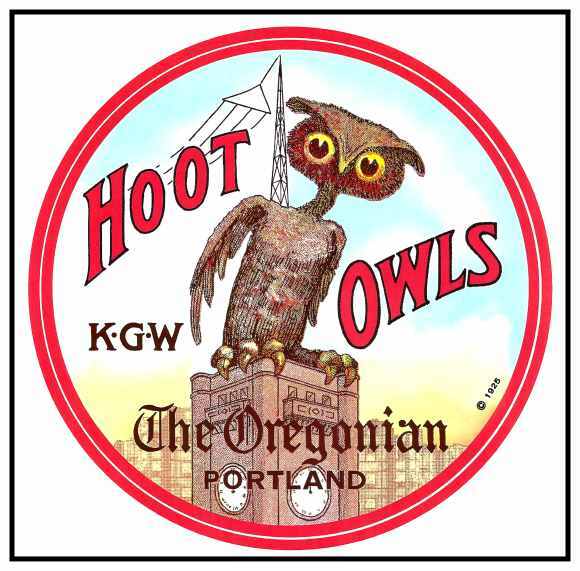 Several prominent people would make their way to Oregon in the years that followed: David Douglas, the Scottish Botanist, as well as explorers Peter Skene Ogden and Captain Nathaniel Wyeth. Built in 1915, the Summit House was used as a fire lookout on the top of Mt. Hood at an elevation of 11,245 ft. After deteriorating beyond repair, from years of exposure to severe weather and vandalism, the Summit House collapsed in 1944. Several thousand wagons full of restless settlers would make their way from Independence, Missouri in search of a better way of life after hearing accounts from Lewis & Clark and others of the “promised land” in Oregon waiting to be tamed. Prior to 1845, no wagon had ever made it further west of The Dalles without floating down the Columbia River on a boat. Enterprising boat captains capitalized on this opportunity to charge exorbitant fares to transport the wagons down the river on two small boats. Many disillusioned settlers were stranded at The Dalles Mission without the funds to pay what the boat captains demanded. Many times this was several times what the wagons and their contents were worth. Wagon master Samuel Barlow, who moved with his family from Fulton, Illinois was convinced there was a better way. He set out around the south of Mt. Hood to blaze his own trail down canyons, up hillsides and down raging rivers. Another wagon master, Joel Palmer, soon joined him and they teamed up in early October to forge their wagon road. They enjoyed the beautiful Indian summer that usually blesses Oregon in late summer, but by mid-October, the clouds began to form and gray skies full of autumn rains began to hinder their progress. Some of their cattle strayed and became lost while Indians took some of their horses. These problems compounded their lack of food, shoes, clothing, provisions and workmen. A group of travelers with their packhorses and mules come off the mountain on the Barlow Trail Road at Government Camp Tollgate. On the left is the Government Camp Hotel and on the right is Dr. Kelly’s Mountainview Home. Barlow and several others set out on foot for Oregon City. Staggering and nearly collapsing from exhaustion and starvation, they stumbled upon Philip Foster’s home at Eagle Creek. After stopping for food and a short rest, they finally made it to Oregon City for provisions. Barlow went back to Mt. Hood several times to assure safe passage for the remaining settlers who had begun the trek from The Dalles Mission. By the end of December all of the settlers had made it to their destinations. In 1846, Samuel Barlow met with the Territorial Assembly in Oregon City and presented a plan to build a toll road. With Philip Foster as his partner, Barlow was granted a charter to open the road as soon as the melting snows would permit. Even though a great deal of work was done on the road, its general character varied from rough to barely passable. Tolls were $5 per wagon and ten cents a head for loose animals. At the end of the first season, Barlow had counted 152 wagons, 1300 sheep and 1559 mules, horses and cattle. There was a good deal of bartering and many promises to pay were broken. Barlow was unable to collect on many of the promised payments. In 1848, he leased the road to Philip Foster and Joseph Young. Over the years, ownership passed on to others and it operated for about 70 years. On the left, is the Government Camp Hotel, which stood until a fire destroyed it on October 11, 1933. On the right is O.C. Yocum’s Hotel. Yocum built and managed the Government Camp Hotel and he was the postmaster of Pompeii. Built by Portland’s prominent Ladd family on the Northern slopes of Mt. 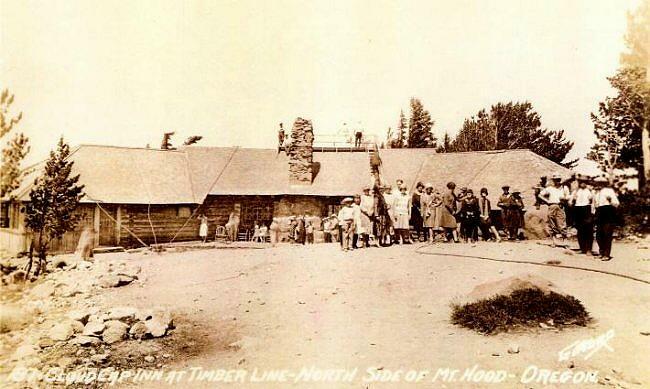 Hood, the Cloud Cap Inn officially opened for business on August 3, 1889. After several bad winters, the forest service no longer allowed the Inn to operate in the winter after 1894. At an elevation of 6,000 ft., Cloud Cap regularly sees 60 feet of snow each winter. Operating in Spring and Summer only, Cloud Cap operated until the outbreak of World War II. The building was sold in 1942 to the Forest Service for $2,000. It operated briefly in 1946, the last time as a hotel. Hunters and vandals took their toll as did the weather as the doors were allowed to remain open to the storms of winter. The Forest Service considered tearing it down in 1950. The Hood River Crag Rats Mountaineering Group offered to fix it up and maintain it if they were given a lease to use Cloud Cap as a base for their snow survey program and mountain rescue. The Cloud Cap Inn still stands today and looks much the same inside as it did 100 years ago. It is only accessible via a 14-mile gravel road where it was reached via Stage Coach. 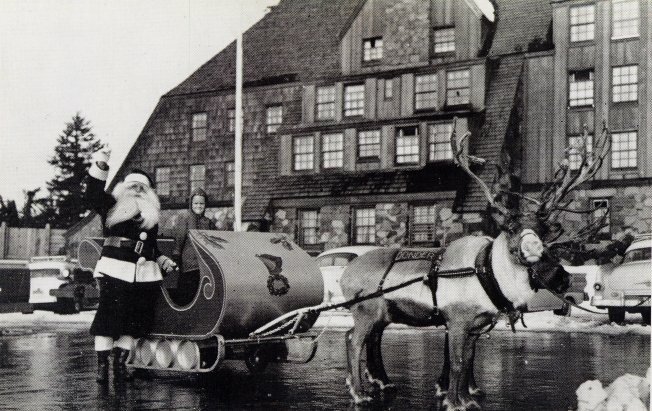 Santa’s appearance at Timberline Lodge is shown in this 1953 photo. Built in 1937 at the 6,000 ft. level, Timberline Lodge was officially opened on September 28, 1937, by the President, Franklin Roosevelt. The WPA (Works Progress Administration) built Timberline Lodge and interior furnishings were crafted by the Civilian Conservation Corps (CCC). Annual snowfall at Timberline averages 21 ft.
Government Camp was home to the picturesque Battle Axe Inn which was built in 1925. 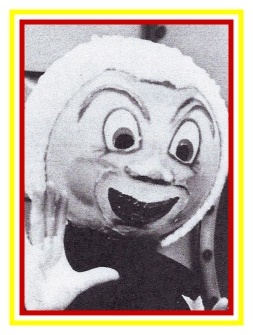 It was famous for homemade Huckleberry pies made from locally grown Huckleberries. A toboggan run was built next to it in 1928 and it proved to be very popular. The toboggans could reach speeds up to 60 mph. Insurance costs increased to over $100 a day due to frequent accidents and the toboggan run closed. The Battle Axe Inn, which was the largest building in Government Camp, stood for 25 years, until a fire destroyed it on November 7, 1950. The Mountain View Inn at Government Camp originally opened as Rafferty’s Hut in the 1930’s. Later, it became known as the Tyrolean Lodge and in 1945, new owner Harry Albright of Boring opened it as the Mountain View Inn. A fire destroyed the building in 1955. The Skiway tram consisted of several modified city busses and a modified cable system used by Northwest loggers. The tram’s cables had a tendency to ice up and a new road was opened between Government Camp and Timberline in 1950. The tramway ride cost 75 cents while the shuttle bus only cost 50 cents and both rides took about a half hour. The tramway proved to be a financial disaster. The Skiway Tram only lasted a couple seasons. The towers were removed in 1961.